Remember the Smurfs? Well, they're back! 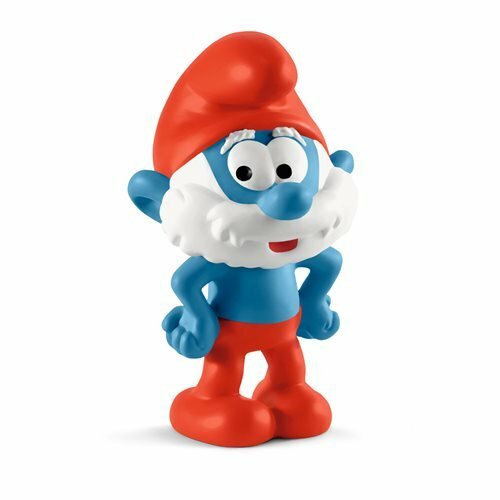 Featuring the wise and magical leader of the Smurfs, this delightful Smurfs Papa Smurf Collectible Figure stands approximately 2 1/4-inches tall, so you can take him with you wherever you go. For even more fun, collect and play with all the finely detailed Schleich Smurfs Collectible Figures. They encourage children to play and learn at the same time! Each sold separately. Papa Smurf is the leader of the Smurfs, and he's the only one who wears a long white beard, a red cap, and red trousers. If anything goes wrong, the Smurfs seek his advice, because they can always rely on him. With his wisdom and his knowledge of magic, he protects the Smurfs again and again from all kinds of dangers.